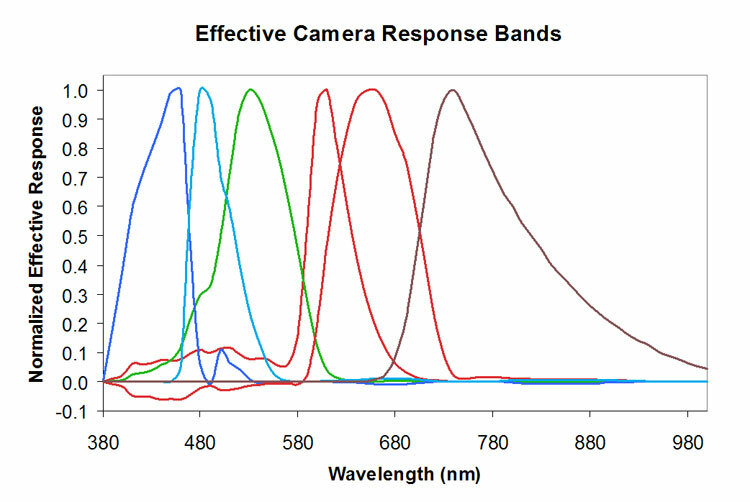 FD-1665-MS-3: Red, Green, Blue or Any three narrow or broad band filters between 400-1000nm. FD-1665-MS-5: RGB Bayer, NIR 1 and NIR 2. NIR bands being any narrow or broad band filter between 700-1000nm. FD-1665-MS-7: Patented 7 Channel configurations that provide 6 unique spectral channels between 400-700nm and one near infrared channel. NIR band being any narrow or broad band filter between 700-1000nm. FD-1665-Custom: Any combination of monochrome or color RGB Bayer CCD's with any narrow or broadband filter. Custom solutions also include a 3 Sensor InGaAs SWIR configuration. FD-3SWIR: A full product line of SWIR InGaAs multispectral and polarimetric cameras. FD-1665-UAV: Full line of purpose built for UAV integrators and users based on the FD-1665 camera line. The FD-1665 is used in a wide array of applications and solutions.